BESTIES® are delightful little sets of jewelry in simpatico - matching or beautifully in sync with each other, just like you and your bestie. Give Besties® to your own bestie: your closest friend, sister, mom, aunt, daughter, wife, life mate, work mate, political ally, blood brother, or accomplice in all things challenging. A bestie is that person who really gets you. Choose the bracelet or necklace style that speaks to you. Keep one for yourself and give the other to your friend as a symbol of your soul connection. 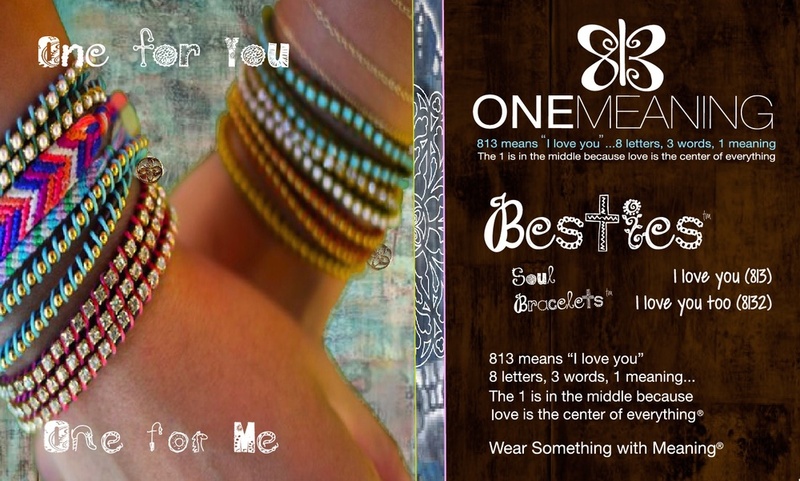 All designs have our pretty symbol that means "I love you" - a butterfly made of 813, which stands for 8 letters, 3 words, 1 meaning...the 1 is in the middle because love is the center of everything. You'll make your bestie so happy. One for you, One for me, One Meaning! Scroll down for all styles. Choose from Sterling Silver on a Sterling chain; Brass on a Gold-Filled chain; or Mix (one of each). You can also order a single one so that no one in your friendship posse feels left out! $50 for a set of two / $25 for a single. All chains are 18." Our version of the classic friendship necklace for that friend, sister, loved one who you really connect with. 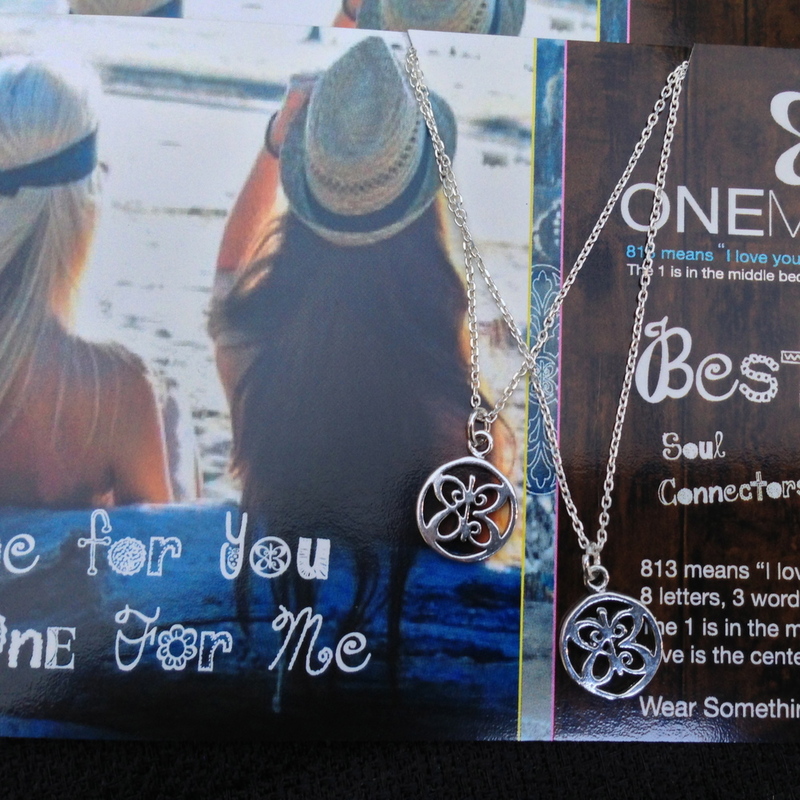 Besties® come with a matching necklace so you can keep one for yourself and give the other to your friend as a symbol of your soul connection. These casual little necklaces carry our One Meaning Butterfly made of 813, which means “I love you”...8 letters, 3 words, 1 meaning. The 1 is in the middle because love is the center of everything.® Wear them on their own, or layer them with other pieces from our meaningful collection to let your own personal style shine through. 813! Guys can wear them too! 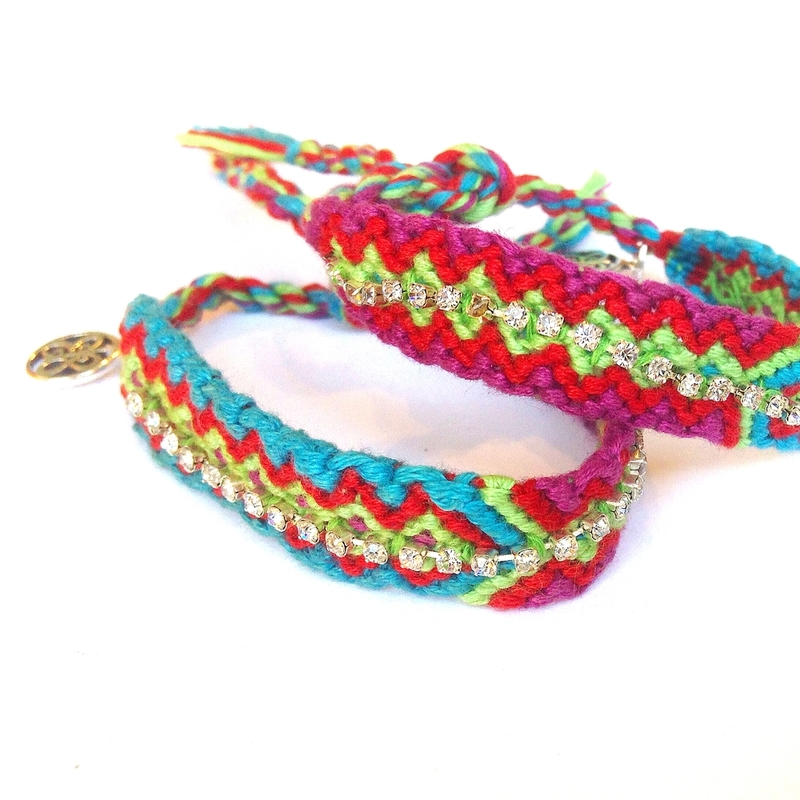 Earthy woven cotton bracelets with a little strip of bling in its center....so cool and current. You really need to share this one with your bestie. Choose the color combo that speaks to you. 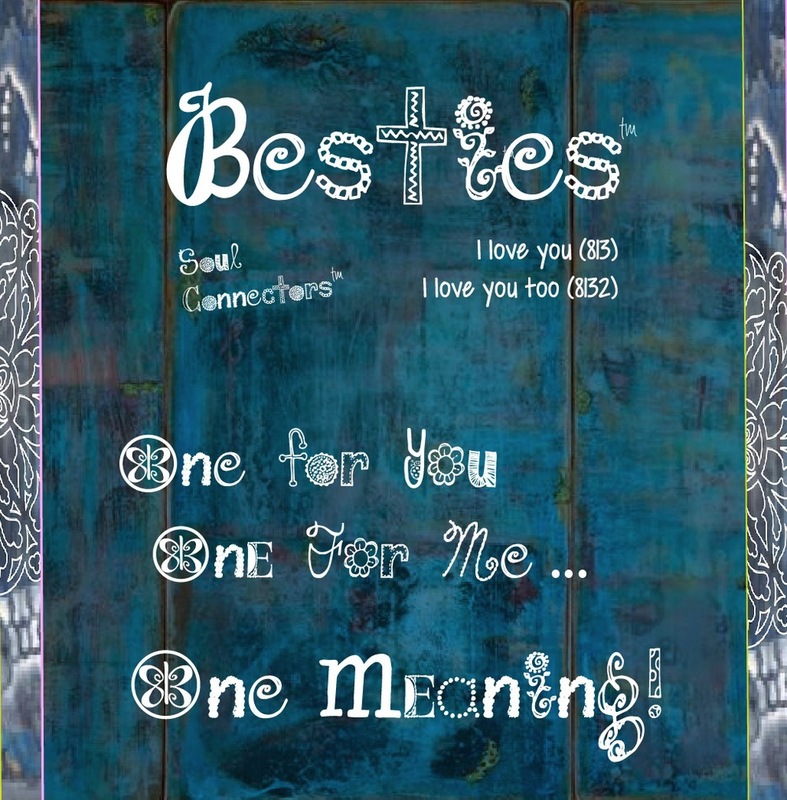 Keep one for yourself and give the other to your friend as a symbol of your soul connection. 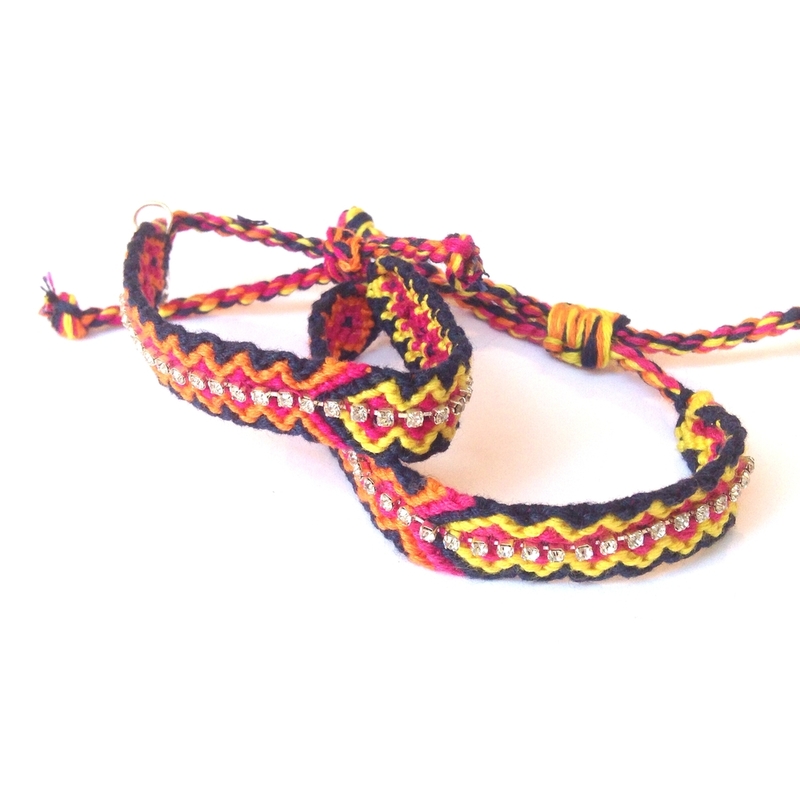 Choose Orange, Pink, Blue or Rainbow / Black (rainbow with black base - shown in first photo above) cotton weaved bracelets with a spectrum of color interlaced in the pattern. Two matching bracelets in a pack, and both have a tiny Sterling Silver One Meaning Butterfly charm. Tie on and adjustable. Casual and cool, our down to earth Weaved Besties® come with a matching bracelet so you can keep one for yourself and give the other to your friend as a symbol of your soul connection. One for you, one for me, One Meaning! These casual pieces come with a little One Meaning Butterfly charm, our butterfly made of 813, which means “I love you”...8 letters, 3 words, 1 meaning. The 1 is in the middle because love is the center of everything.® Wear them on their own, or layer them with other pieces from our meaningful collection to let your own personal style shine through. 813! Guys can wear them too! Made in NYC, all of our designs mean "I love you"
Wear Something with Meaning® Free Shipping within the Continental US.